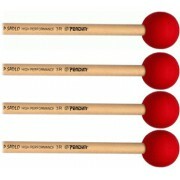 The mallets of the "P.Sadlo High Performance" series are the newest items on the production list of the Pendim Company and are a top-notch achievement in the company's development. 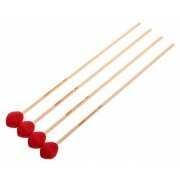 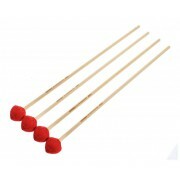 The mallets are the result of a two-year research and precise selection of every detail in their making. 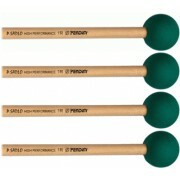 In the creation of the mallets, the experience and high professional criteria of the world renown percussionist and pedagogue P.Sadlo have been applied. 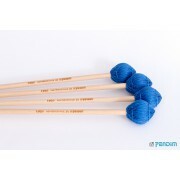 The presented 15 models, as well as all the other products of Pendim, are 100% hand-crafted and with guaranteed quality. They comply with the highest requirements of the contemporary performer. 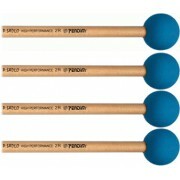 Here is how Professor Sadlo himself evaluates them: "I discovered several fundamental advantages in the Pendim mallets combined in a way I have never before encountered. They have a full-toned sound extraction without being heavy, offer a wide variety of models, allowing easy playing of the tremolo, identical sound extraction in all ranges of the marimba, as well as mallets for special effects. The handles are made of specially selected birch-wood which combines the advantages of the rattan (elasticity and gentle attack on the bar) and wood (perfect control over the mallet)."